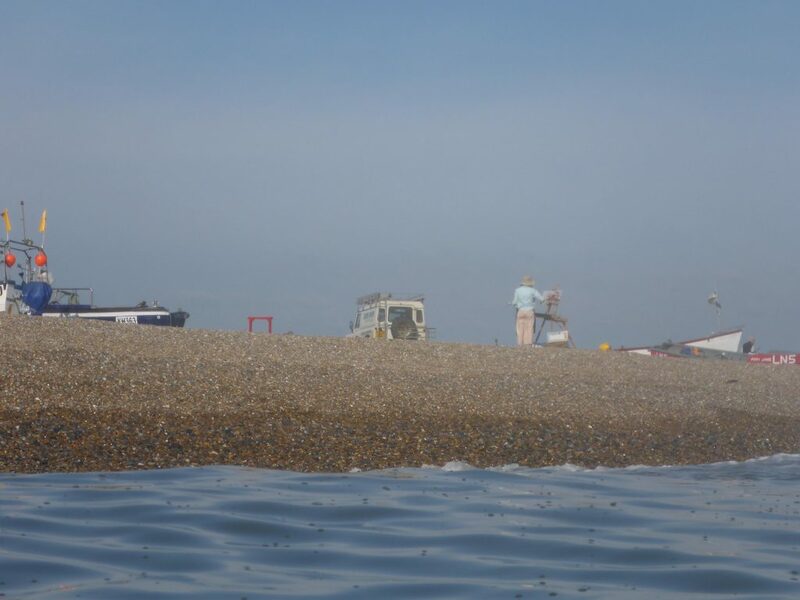 Art » The Wash and North Norfolk Marine Partnership. How one artist sees it. .
Charles Tunnicliff the great wildlife artist claimed that you couldn’t paint a living creature if you hadn’t held it, I’m not sure how that works out for tigers or killer whales but I understand what he means. For me this is just as true of landscape, although by held I would mean held in your mind. 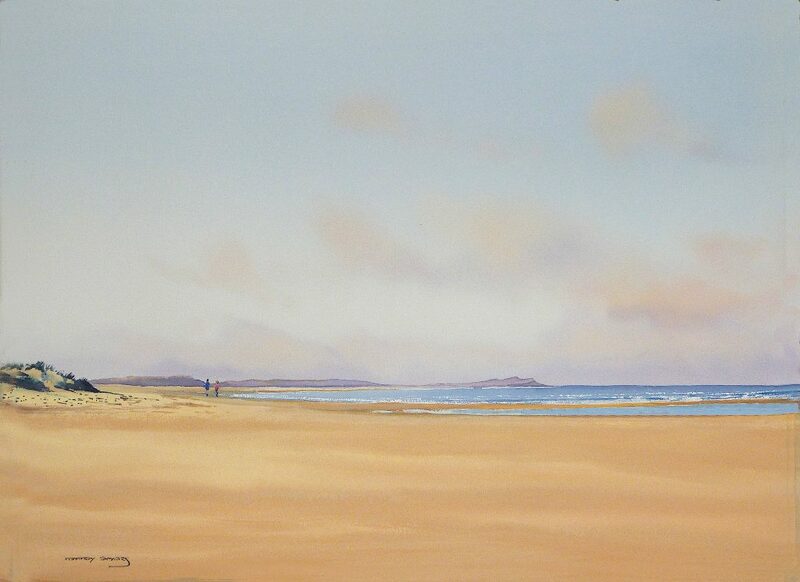 For me the experience of painting a familiar landscape is four dimensional, the view is always loaded with memory. 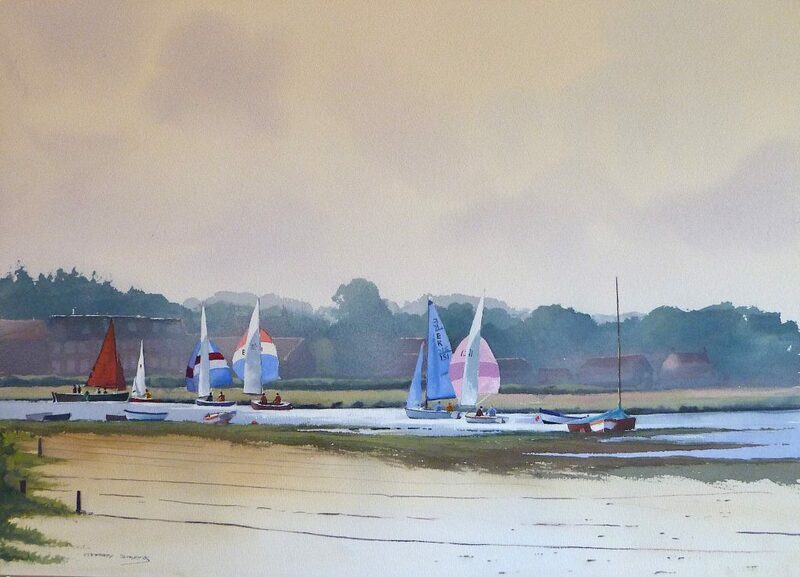 This subtle understanding can be distilled into something as simple as drawing boats, which are notoriously difficult to draw well, they are man-made but their lines are elusive in the extreme and painting them afloat or sitting on the mud is more or less impossible if you don’t know them well, this is also true of this landscape, and may explain why all the best painters of this coast come from fishing backgrounds. Here an extract from one of my journals will I hope illustrate what this means for me personally. ‘It is now high summer and as so often at this time of year I have enjoyed the most beautiful walk out along Pilot’s Path. Such a bright afternoon, cloud shadows sliding silently across salt-marsh that looked for all the world like the open sea, waves of ochre sea grass swaying to catch the light, and at the halfway point the most amazing wash of sea lavender to be seen anywhere along this coast. As I sat absorbed by this wonderfully accidental mix of colour I wondered why it is that the colour combinations that nature combines give me such pleasure, even Wells East Hills suspended by mirage above the far horizon managed to colour coordinate the whole. The lavender itself changes from a quite deep purple at one’s feet to the softest of soft azure blues in the distance, from this it is only the shortest step into the soft grey/greens of sea wormwood that are twisted throughout the whole, add to this the astonishingly unlikely counterpoint of gold and russet fescues and the effect is [to use a much over used word] stunning. It seems undeniable that experience of a place over time gives a more insightful picture, although I have known some who have lived here all their lives and appear to see none of it, and I am quite sure it could be argued that someone coming to this landscape for the first time could have a more objective view of it than any of us. How each viewer sees this landscape or a painting of it is impossible to know, I have always believed that with watercolour -less is more-, you have to leave enough room in a painting for the viewer’s mind to walk in and explore, and in doing that allow the world you have created to chime with their own internal picture. How each of us see the world is different, its only when people are unmoved by it and see nothing of value that they allow it to be damaged.